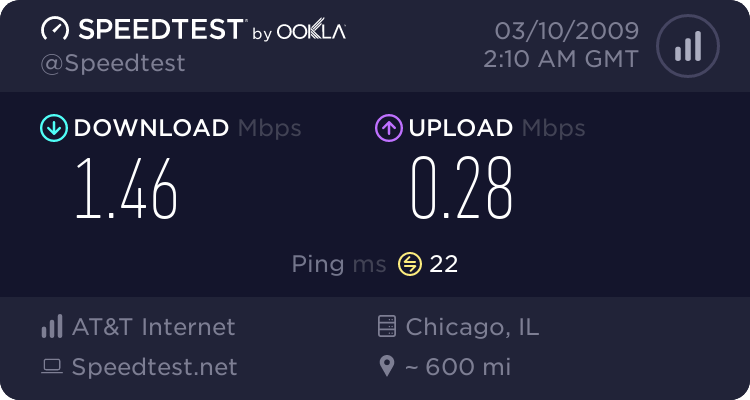 The problem isn't that I don't have enough bandwidth, the game takes very little bandwidth (can be played on dial up) without the same lag I am getting from with ooma connected into my router. The problem seems like there are packets being lost on my connection when ooma is connected to my router. I also tried two different routers and the same problem occurs. I tried the setup explained by you to create a static IP and enable DMZ on it, however, like the OP, it didnt' work for me either so we must be missing something because it worked for you and not us..
murphy wrote: It open all of the ports to the input side of the router, not to the internal network. It lets the router work exactly like it would if the ooma hub wasn't between it and the modem. No it doesnt. the ooma acts as the dchp server. thats why the dyndns doesnt work properly. by opening the ports your essentially adding another dchp server in addition to the ooma. The problem isn't bandwidth its prioritization. hmm ok i'll try enabling QoS and have my computer prioritized above ooma... but will this affect lag on incoming calls? Gonna give it a try and see if the packet lost problem still arises..
kradoom wrote: hmm ok i'll try enabling QoS and have my computer prioritized above ooma... but will this affect lag on incoming calls? Gonna give it a try and see if the packet lost problem still arises.. I don't think the ooma will have a problem if the game uses as little bandwidth as you say. A small interruption in small data transfer can be significant in small streams of continuous data transfer, small interruptions in large continuous data transfers have little effects because large data transfers account for error corrections and lost packets. I just enabled QoS by port, had my computer priortized over ooma and then tried the game again and i still get lag. The lag btw isn't just with games, if I am connected to an IRC channel for example, I will get disconnected about every 10 mins. In the game I am getting lag about every 10-15 seconds. I went to my router's stats page and I notice that OOMA isn't listed as one of the DHCP clients.. but my ooma is working... is this normal? kradoom wrote: I went to my router's stats page and I notice that OOMA isn't listed as one of the DHCP clients.. but my ooma is working... is this normal? My personal experience with linksys is not good. I dont want to say get a new router cause then I'd sound like murphy, but that maybe a plausible response. you should see your ooma pulling an ip address. I wouldn't know why you wouldn't. Can you set priority by IP? and opening all the ports? I would try that, if not you may need a new router. If the new router doesnt solve the issue you could return it. Buy from a place that will return it with the least hassle (i.e. walmart) and use a different brand like D-link or belkin. I'm out of ideas if my previous post didnt help. A new router would be a last resort. I can't set priority by IP cuz ooma isn't pulling an IP address! i dont know why this works but it works..
i get packet lost... how strange? ?